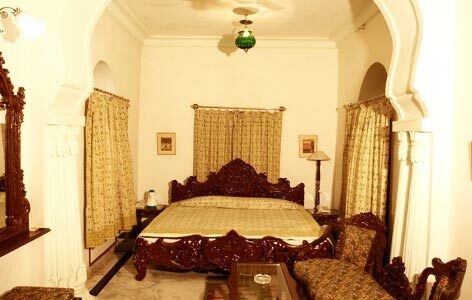 "Palkiya Haveli, originally owned by the Rathod family of Kota, is now one of the most popular budget heritage hotel of Kota. The property boasts of a wonderful exteriors including spacious courtyards, carved balconies, and lush gardens. The guest are equipped with all the contemporary comforts. The food at the on-site restaurant is amazing. Guests can have a pleasant stay while enjoying impeccable hospitality services. Palkiya Haveli was constructed by the reputed Rajput known as Thakur Deo Singh Ji. From every angle the palace exudes the charm of Rajput architecture. 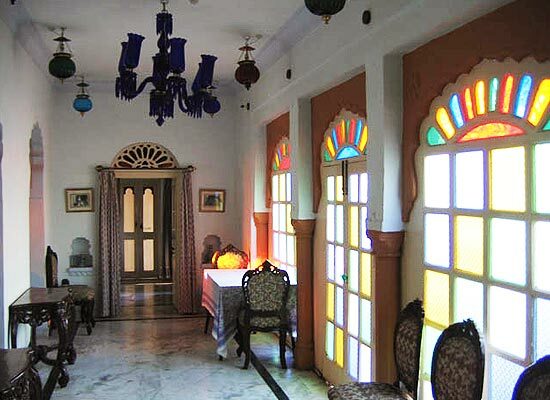 Palkiya Haveli in Rajasthan is filled with antique furniture and splendid design and it has a beautiful garden in front of its courtyard; there are lovely balconies, comfortable rooms with ancient structure and also antique furnishings. 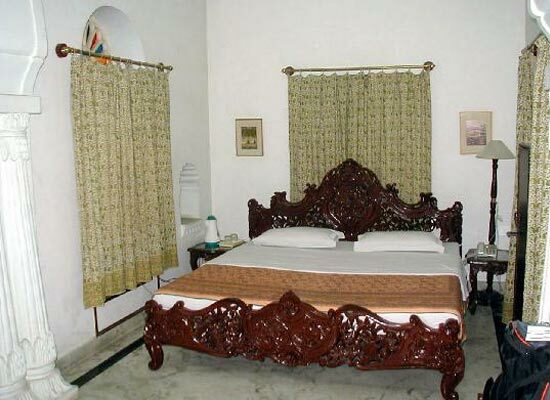 10 air conditioned rooms are well equipped with modern up to date facilities. Inside the rooms there is color television and also telephone with ISD facilities. Indian, Chinese and Continental dishes are offered by the multi-cuisine restaurant at Palkiya Haveli. Palkiya Haveli has a vast swimming pool and a well stocked bar that enables people to have a peaceful hour. There is also a large health club that is well equipped with all types of gym equipments. 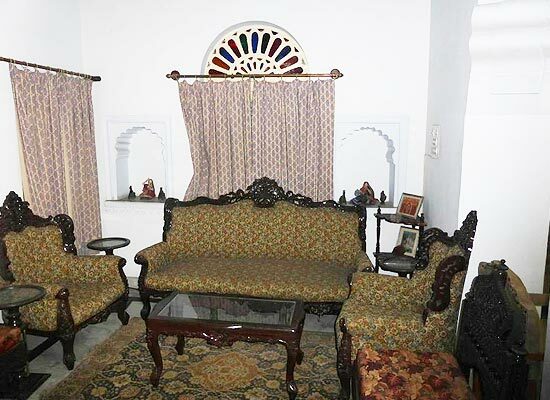 Kota is not only famous for the exclusive Kota saris but also for the numerous places of tourist attraction which includes some places like Badoli Temple and Chambal Garden which are visited by people across the globe. The latter consists of some rare trees and flowers which are beyond compare. Kota had previously been the old station for exchange of goods and now it has become a place of tourist attraction with increasing popularity.